This book, "Easy Journey to Other Planets" describes a simple method of travelling to other planets that does not require any space craft or rocket. 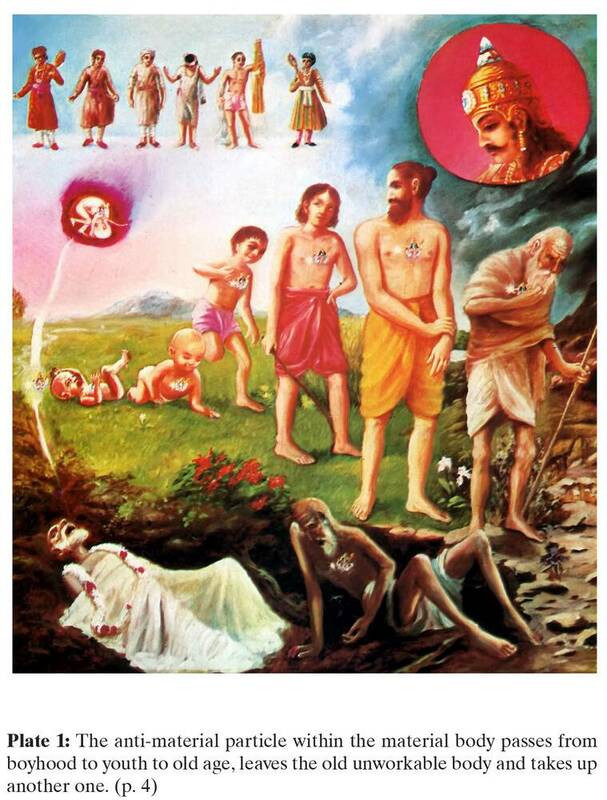 People will be surprized that travel to other planets is described in the ancient Vedic texts of India. Encompasing the systems of sankhya, astanga and bhakti, "Easy Journey to Other Planets" treats the science of yoga, particularly in its application to out-of-body travel. One can attempt to go to any planet he desires, but this is only possible by psychological changes in the mind or by yogic powers. 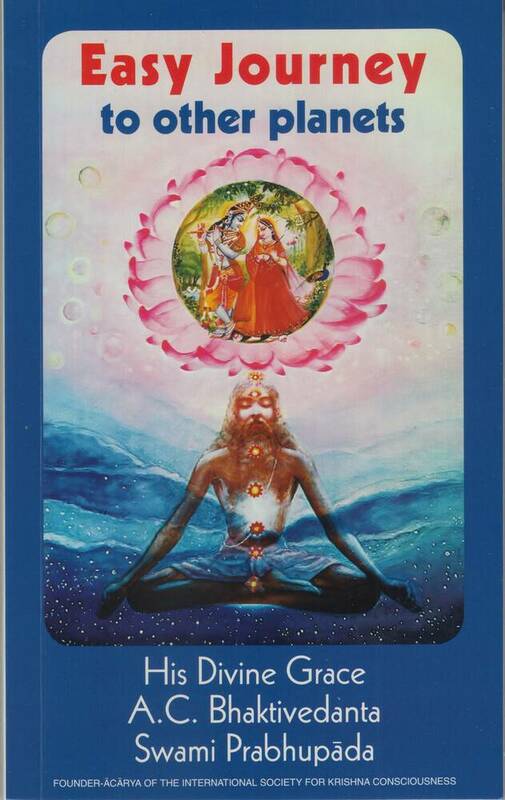 Mind is the nucleus of the material body. 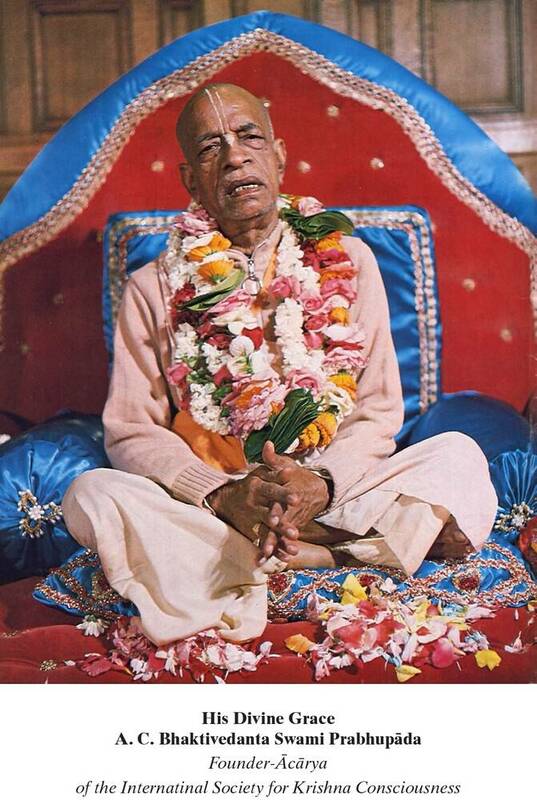 Anyone who trains the mind to turn from matter to the spiritual form of the Godhead by performance of bhakti-yoga can easily attain the kingdom of God in the anti-material sky. Of this there is no doubt. A living being, especially civilized man, has a natural desire to live forever in happiness. This is quite natural beacuse, in his original state of life, he is engaged in a struggle against recurring birth and death. Therefore he has attined neither happiness nor immortality. The latest desire man has developed is the desire to travel to other planets. This is also quite natural, because he has the constitutional right to go to any part of the material or spiritual skies. Such travel is very tempting and exciting because these skies are full of unlimited globes of varing qualities, and they are occupied by all types of living entities. 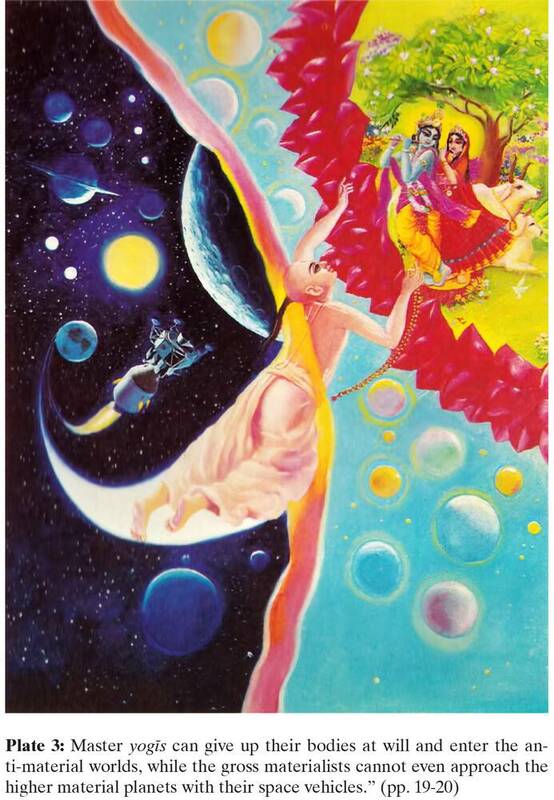 The desire to travel there can be fulfilled by the process of yoga, which serves as a means by which one can transfer himself to whatever planet he likes--possibly to planets where life is not only eternal and blissful, but where there are multiple varieties of enjoyable energies. Anyone who can attain the freedom of the spiritual planets need never return to this miserable land of birth, old age, disease and death. One can attain this stage of perfection very easily by his individual effort. 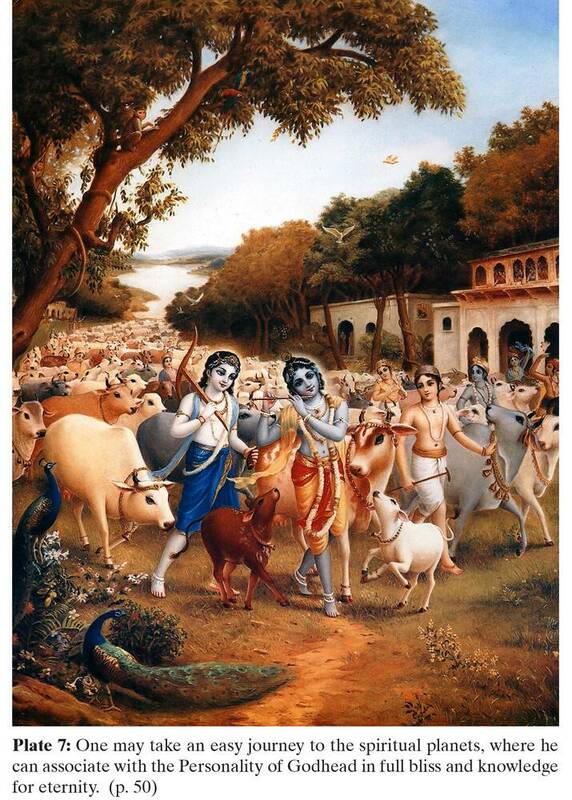 He can simply follow, in his own home, the prescribed method of bhakti-yoga. This method, under proper guidance, is simple and enjoyable. 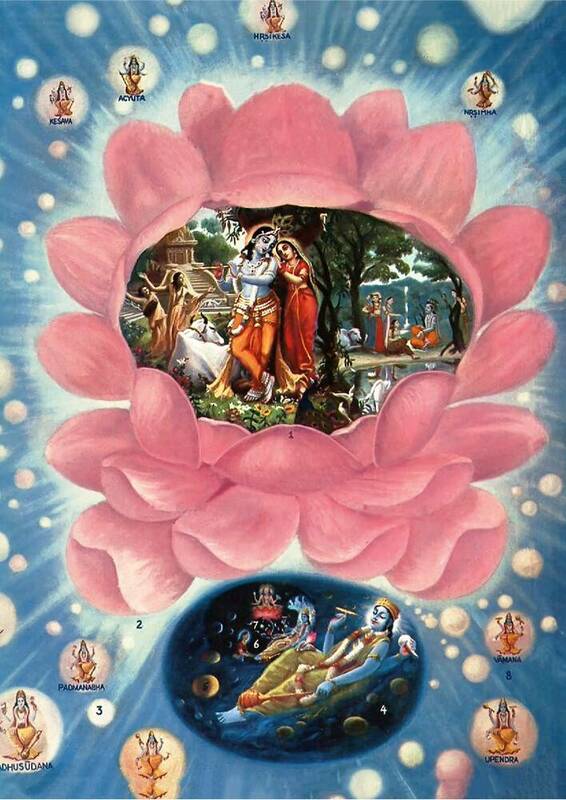 An attempt is made herein to give information to the people in general, and to philosophers and religionists in particular, as to how one can transfer onself to other planets by this process of bhakti-yoga--the highest of all yogic processes.